Home care is based on the belief that older adults should be able to age at home with the level of care they need to be safe and comfortable. It is the goal of your home care provider to ensure that you are able to live as independently as possible while receiving the care you need to maintain the highest quality of life you deserve. As our population continues to age, there becomes an increased need for varying care options, particularly when 8 out 10 older adults express the desire to “age in place”, or receive care in their own homes. 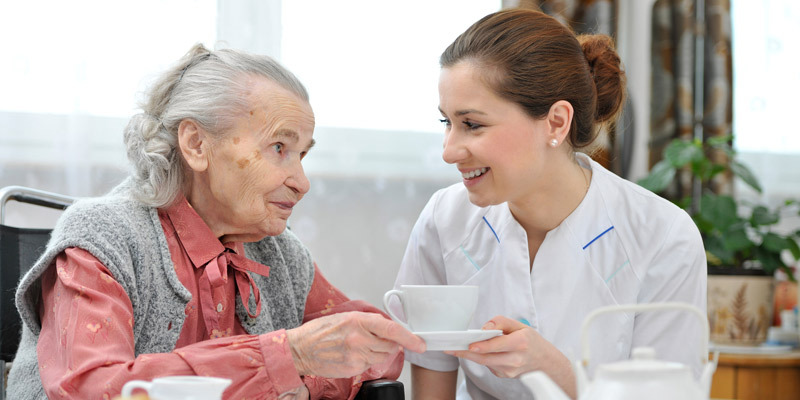 In its simplest terms, home care provides assistance with daily living and household tasks. Additionally, home care can also provide support through meaningful companionship for older adults and peace of mind for their families. While home care is commonly thought of as a service to assist aging seniors, it is also a valuable resource when an individual of any age experiences an accident, surgery, or injury – or is suffering from a chronic illness. Involves a registered nurse and can be just as effective as care received in a hospital or skilled nursing facility (SNF). Types of services provided include wound care, pain management, IV therapy and injections, or mobility training. Involves experienced caregivers or home health aides (HHAs) that can assist with activities of daily living (ADLs). Types of services provided include assistance with bathing, dressing, getting in and out of bed, and toileting. Additional services include cooking, light cleaning, laundry, and transportation. Not sure what type of care would be best for your need? Care Indeed can help you with that too. We know that many new clients aren’t certain on the type of care they can benefit from or how many hours they may need services for. Our client services team is here to help and can provide valuable input over the phone or through a scheduled assessment that works best with your schedule. During your assessment, an experienced and knowledgeable client services team member visits your home for an hour. During that hour time frame, our assessor will get to know your living environment, your needs, and most importantly you to discuss the best care options that fit your needs. The process is 100% transparent and you are in full control. Family is always welcome to be present during an assessment as well. To learn more about the assessment process or to schedule a free Care Indeed assessment, give us a call at (877-504-3822). Toll Free at (877) 504-3822. Send us an email at info@careindeed.com. Or arrange for a Free Consultation with a Care Indeed Home Care Specialist. We’d like to hear from you. We’re here to help! Please contact me: I or a loved one may need home care.I am a caregiver and would like to explore working at Care Indeed.I would like to discuss a possible business partnership with Care Indeed.I would like to refer a client.I would like to refer a caregiver.